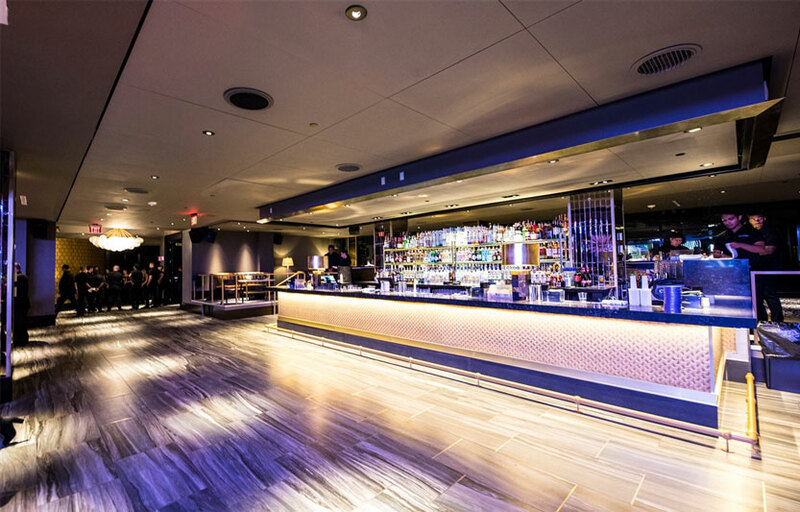 Upon ascending the master staircase or private elevator, guests are drawn into luxurious ambiance that seamlessly fuses old Hollywood glamour with modern technology and design to set the new standard in event space and nightlife opulence. Hand blown glass chandeliers cast a starry glow over retro accents of gold and black lacquer and mirrored glass pillars. 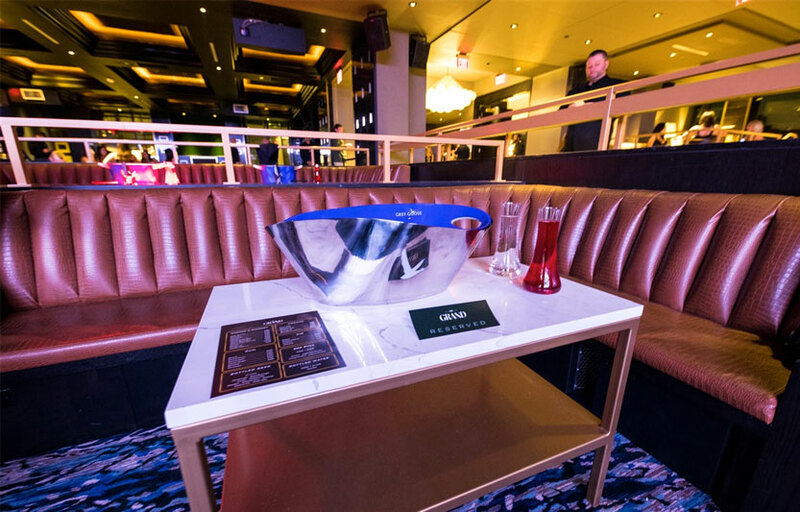 Plush chartreuse and patterned leather fabrics paired with custom marble tables await you as a 70 foot LED wall, premium sound system and custom kinetic lighting technology bring the club to life to create the ultimate VIP experience. With a full venue capacity of 800 people, the elevated platforms and multiple levels offer every guest the best view in the house. 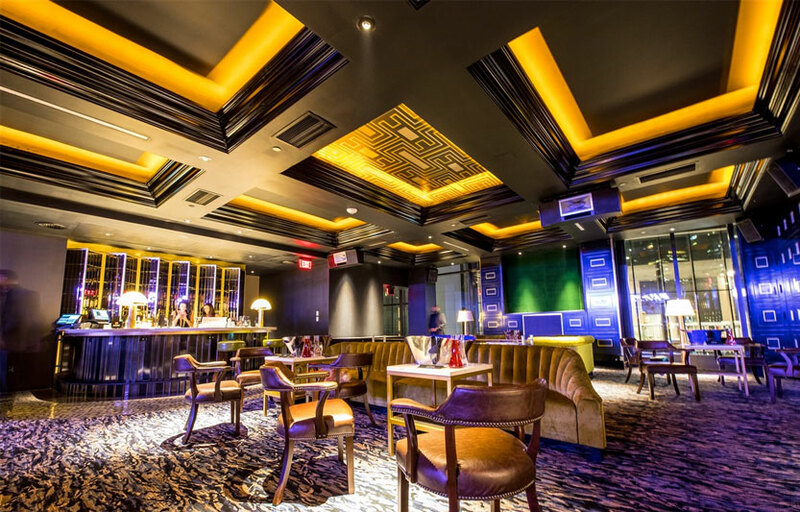 There are several bars and a dance floor, though most of the space is dedicated to VIP Tables. Coat check is available for $5. VIP experience at The Grand Boston is known to be above par. Where is The Grand Boston located? 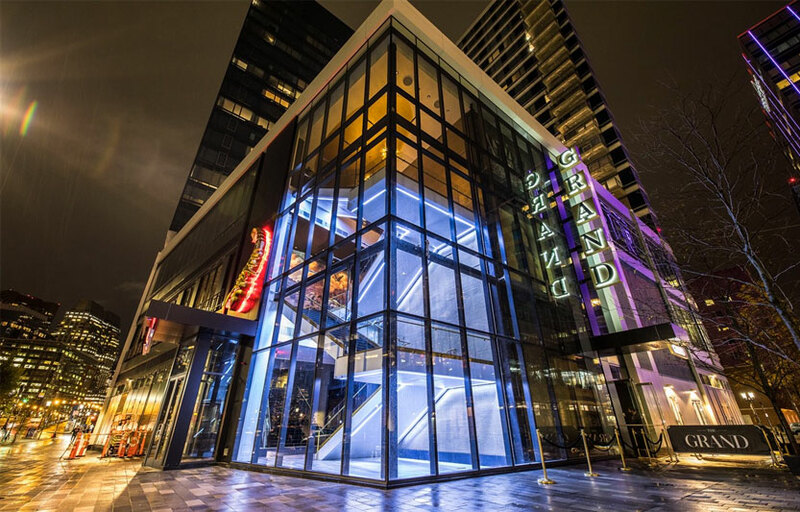 The Grand Boston is located at 58 Seaport Blvd Suite 300. How much is cover charge at The Grand Boston? The Grand charges upwards of $30 for cover. How long will I have to wait at The Grand Boston? Expect to wait anywhere from 20-45 min depending on when you arrive. When is The Grand Boston open? The Grand Boston is open Friday through Monday. What are the best nights to go to The Grand Boston? Friday and Saturdays are generally the best. What is the dress code at The Grand Boston? Dress to impress! Collared shirt / jeans / dress shoes for guys. Avoid anything that can be considered sportswear (track jackets, jerseys, sneakers, hats, etc). Unless you’re a celebrity – in that case you can dress however you please. How much do drinks cost at The Grand Boston? Expect to pay upwards of 200 for bottles. What kind of music do they play at The Grand Boston? 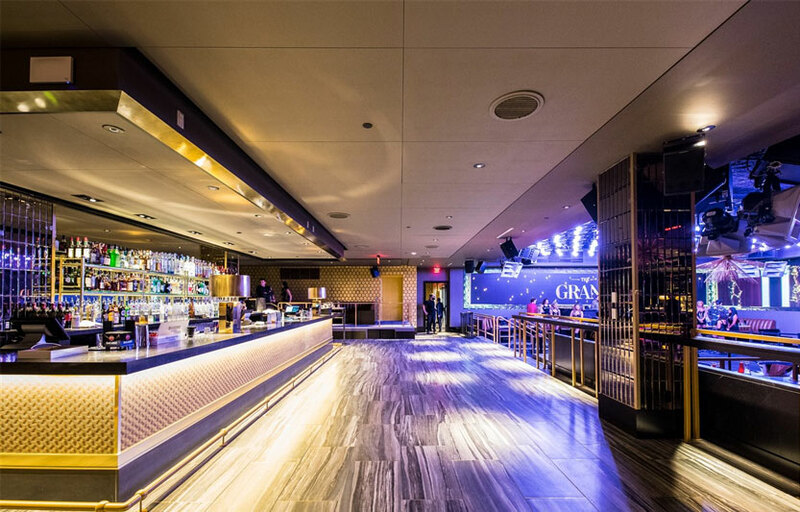 The Grand Boston features mostly club music, with a mix of EDM and hip hop. Where can I find an list of upcoming events / DJs at The Grand Boston? You can download the Discotech app to see upcoming events, and book tables for The Grand Boston.